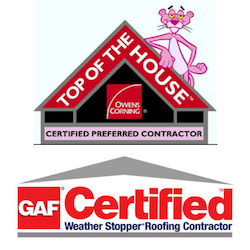 Click to view Owens Corning® Color Choices, COOL Roof Collection, Warranty, Lifetime & Facts. 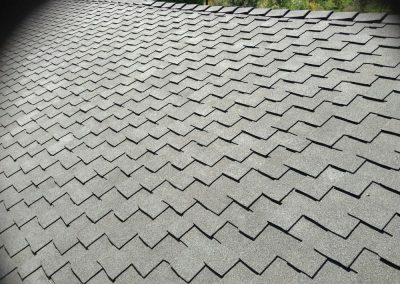 Roofing shingles are cheaper than a tile roof, which is why they are the most popular roofing option in the US. 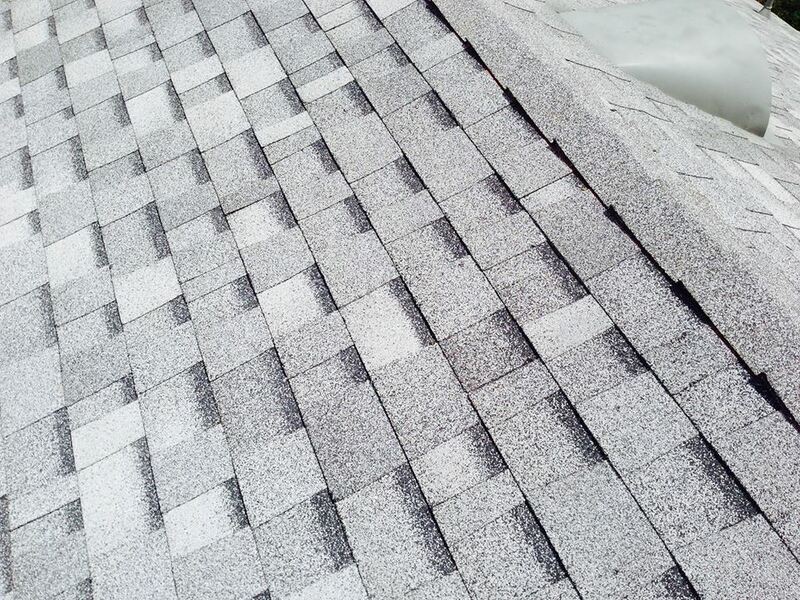 Each shingle is made from asphalt covered in fine stone granules. 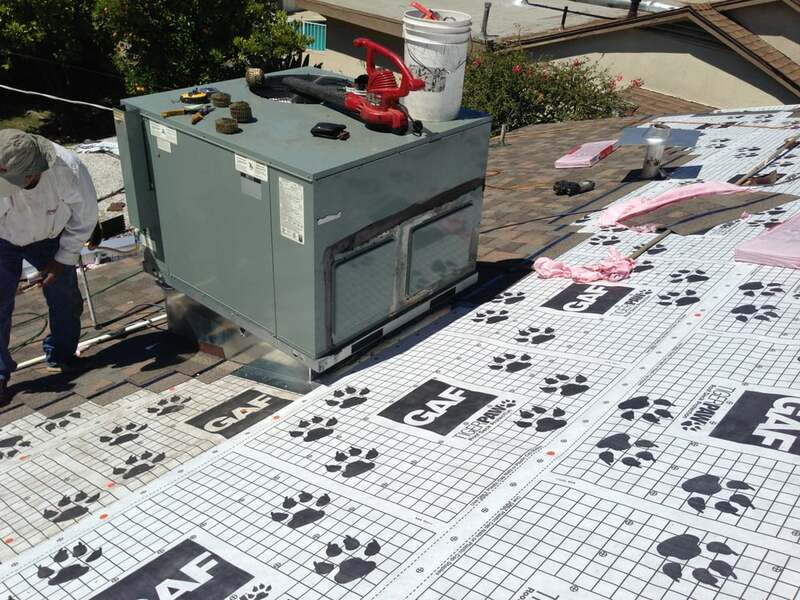 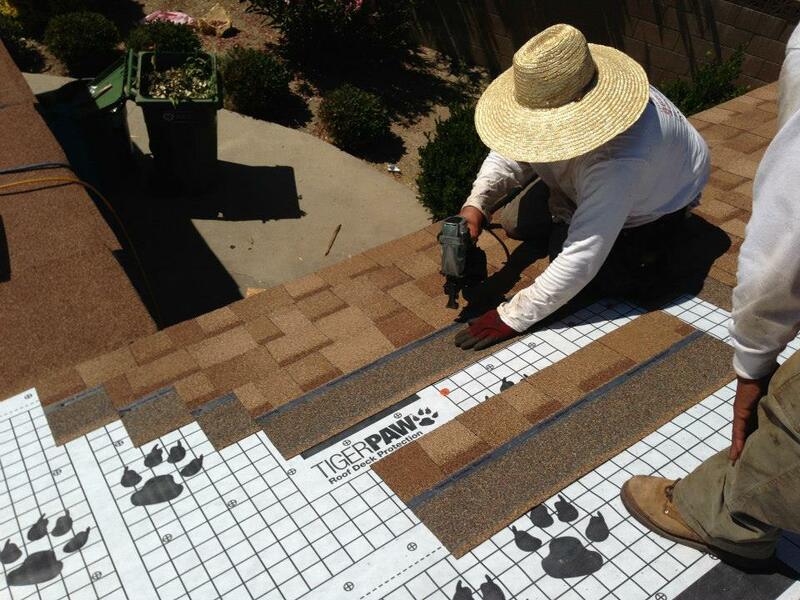 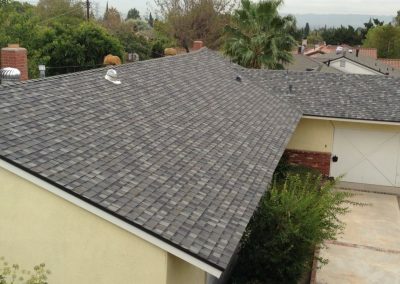 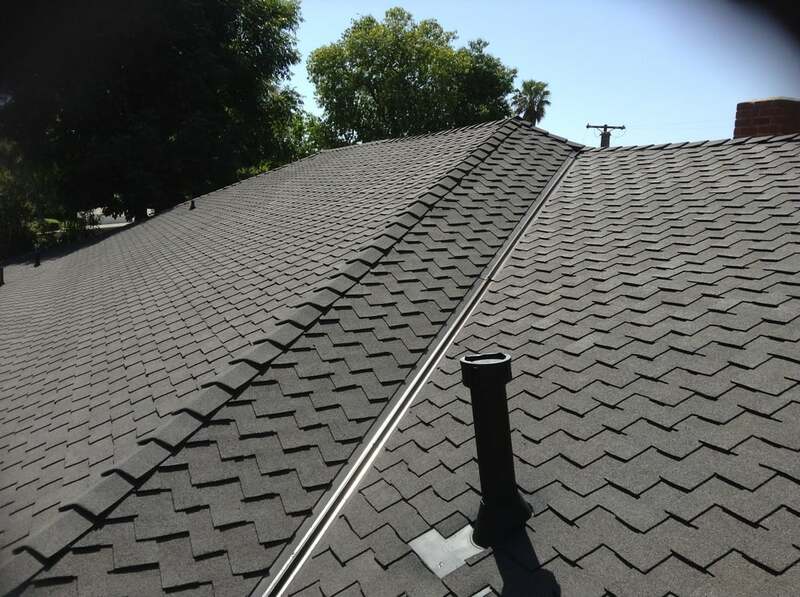 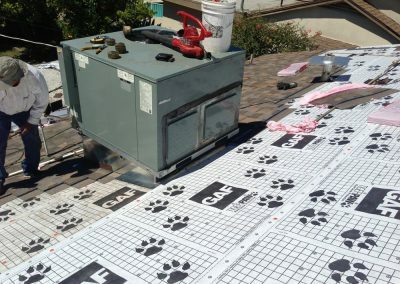 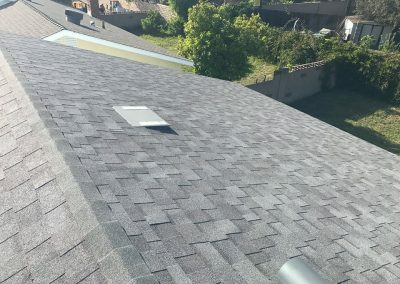 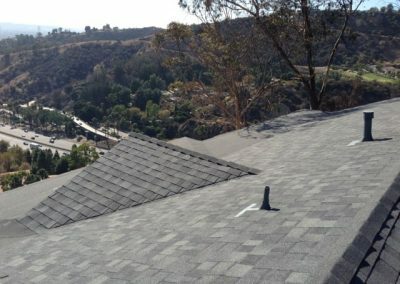 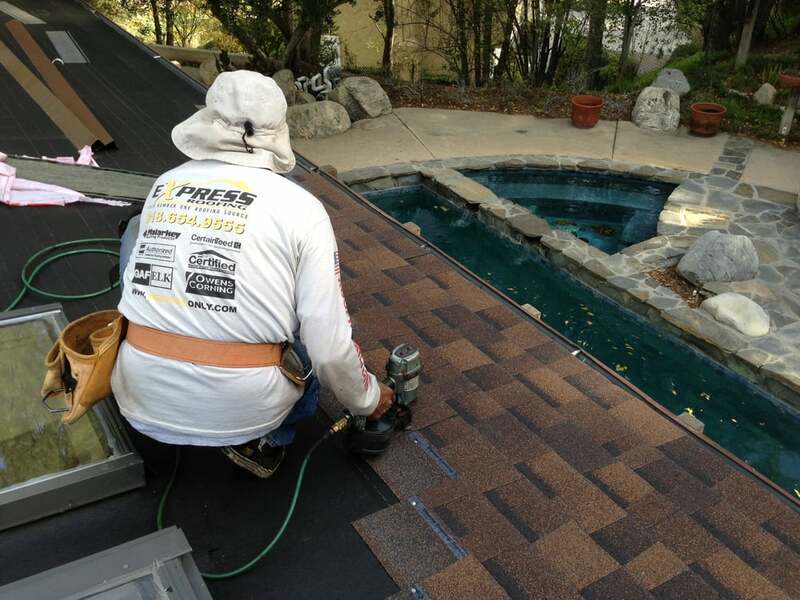 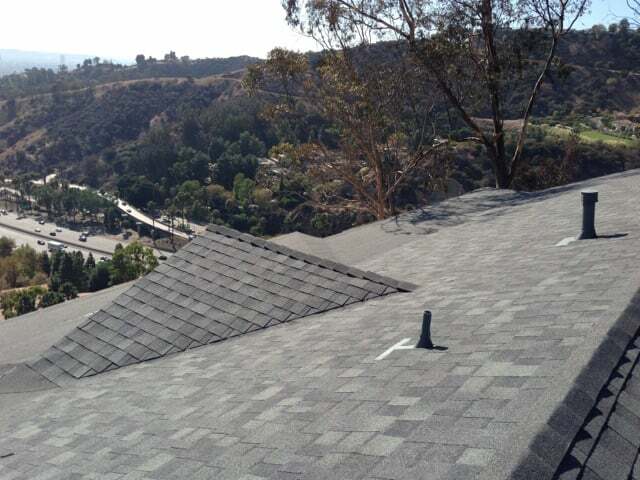 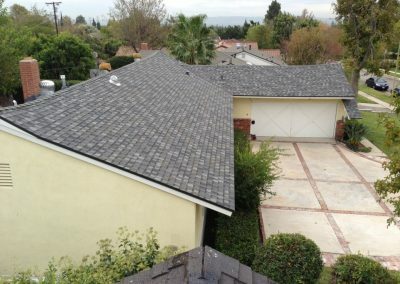 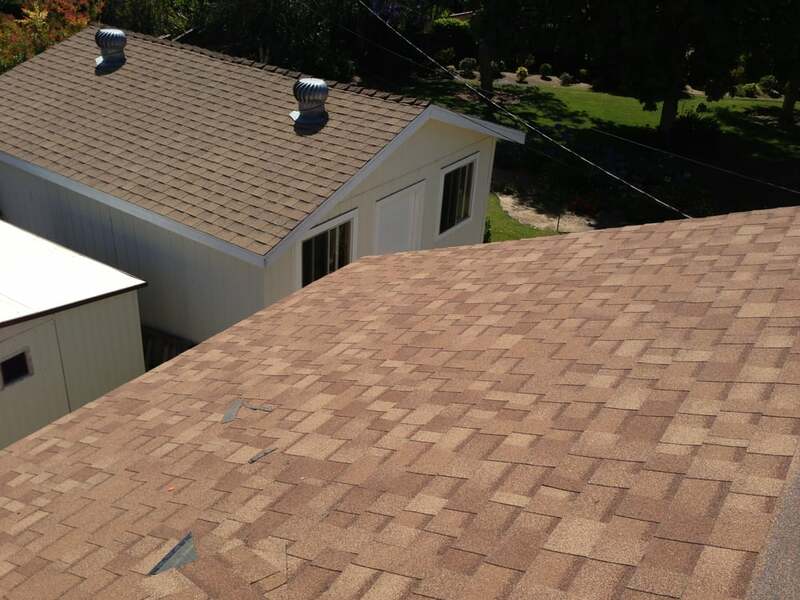 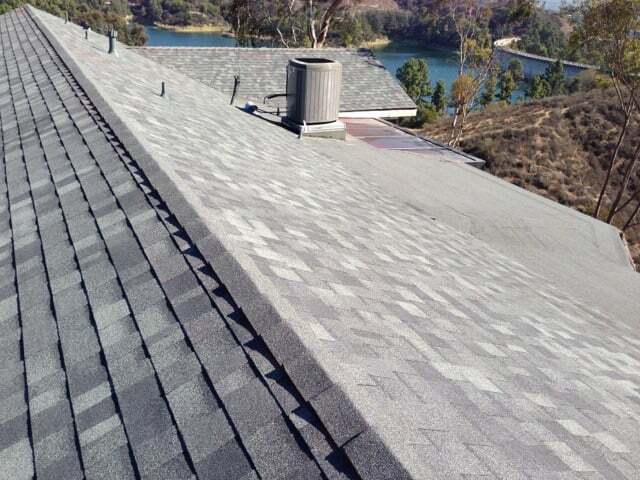 First we install waterproofing underlay then overlap the small rectangular shingles to keep out water and resist algae growth, they provide the best fire resistance against wildfires and reflect sunlight well, which is an advantage in Southern California. 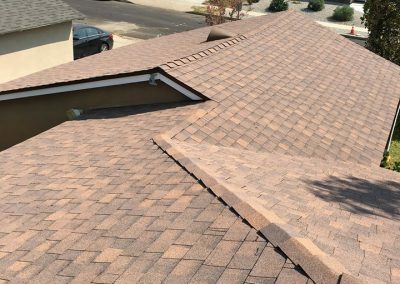 There are many different types of roofing materials which can be used in both new construction and re-roofing applications. 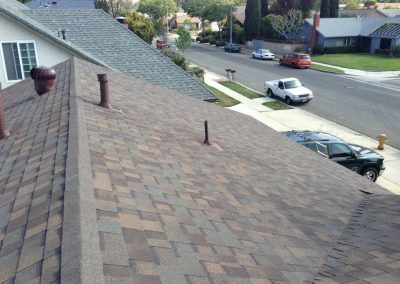 Local building codes or neighborhood covenants may prevent a homeowner from taking advantage of some of the many roofing options available to them. 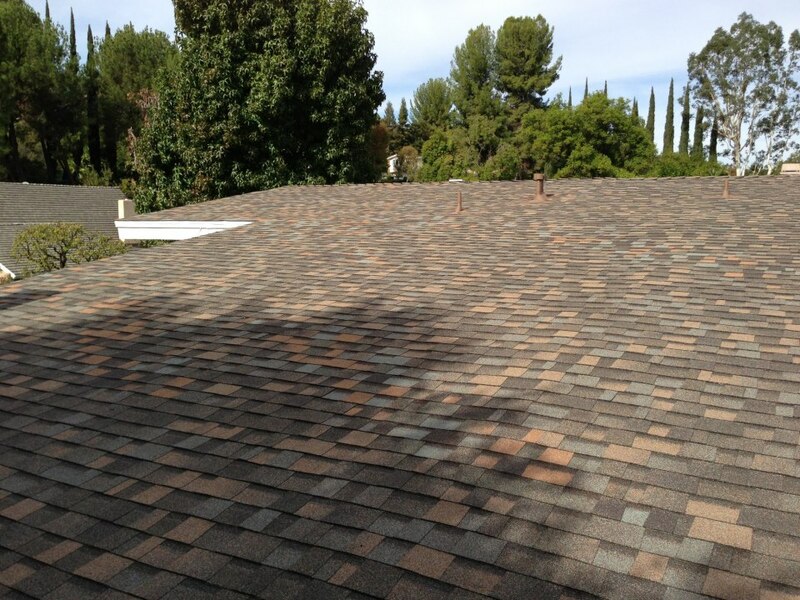 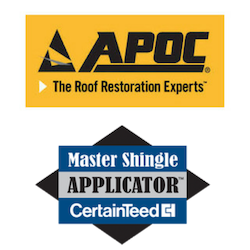 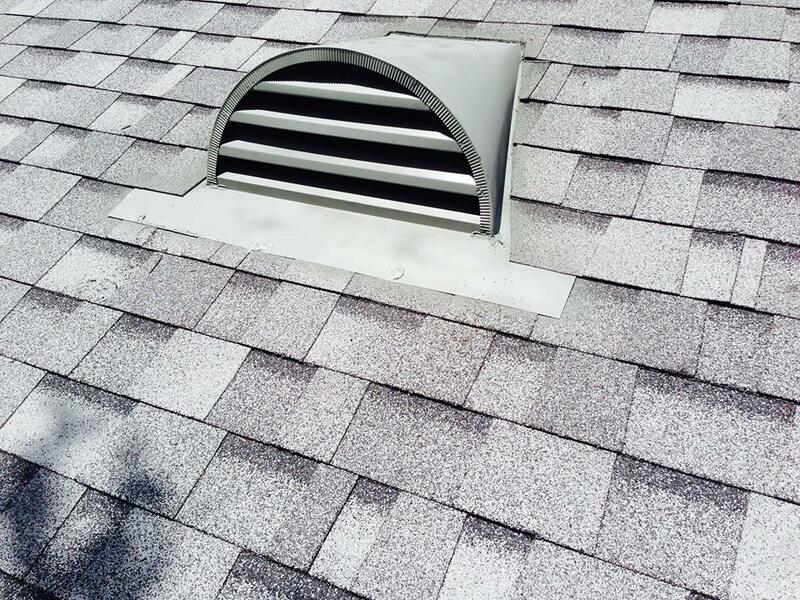 In almost all cases, however, the well-established asphalt shingle roof is found on the list of approved products. 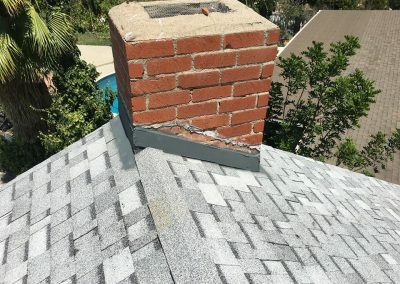 The reason for this is quite simple. The design has proven itself over many years of real world testing in all types of climates. 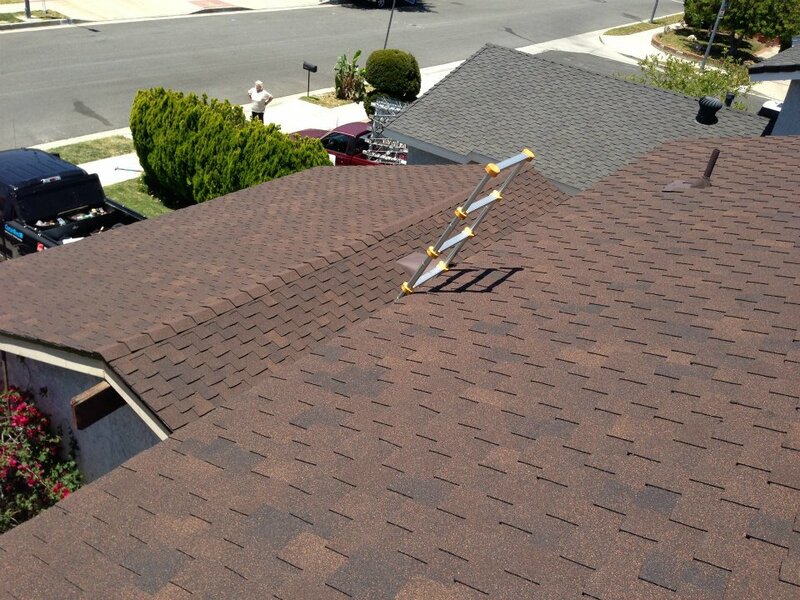 New roofing systems hit the market every year. 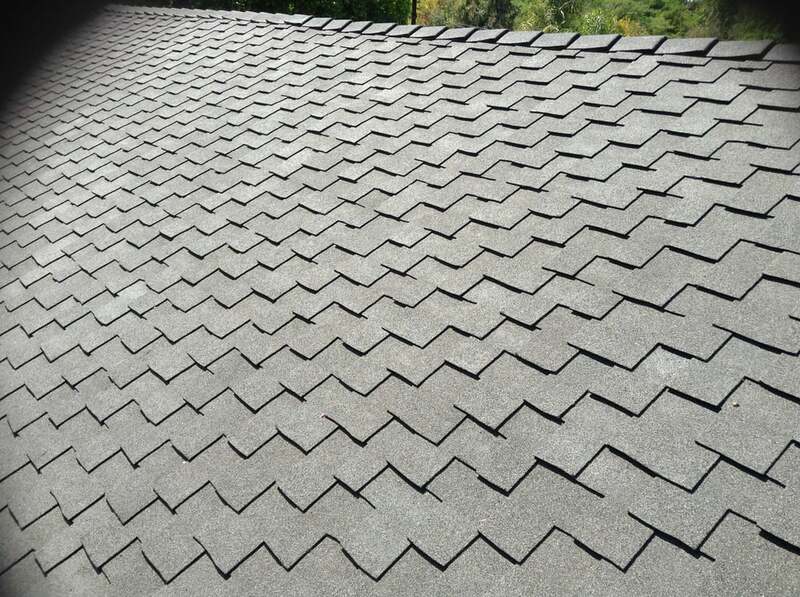 Some of them prove to be useful and some of them suddenly disappear, never to be heard of again. 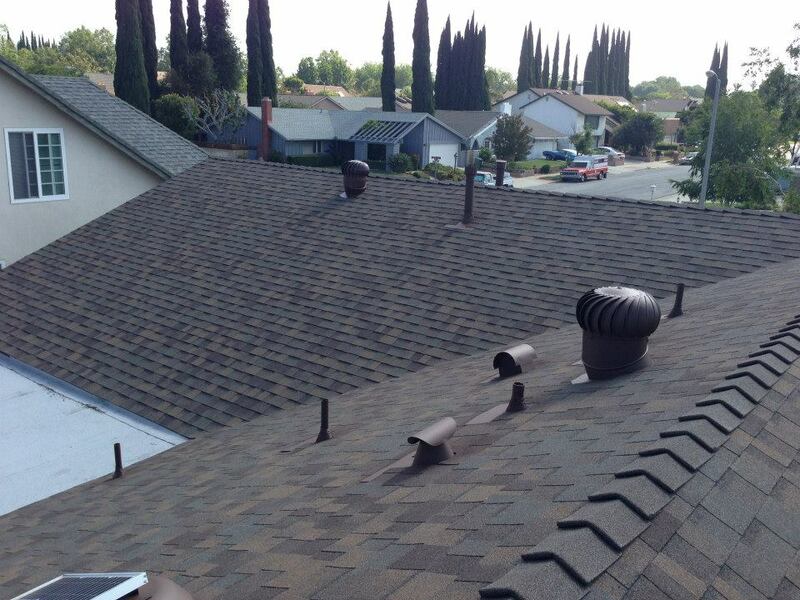 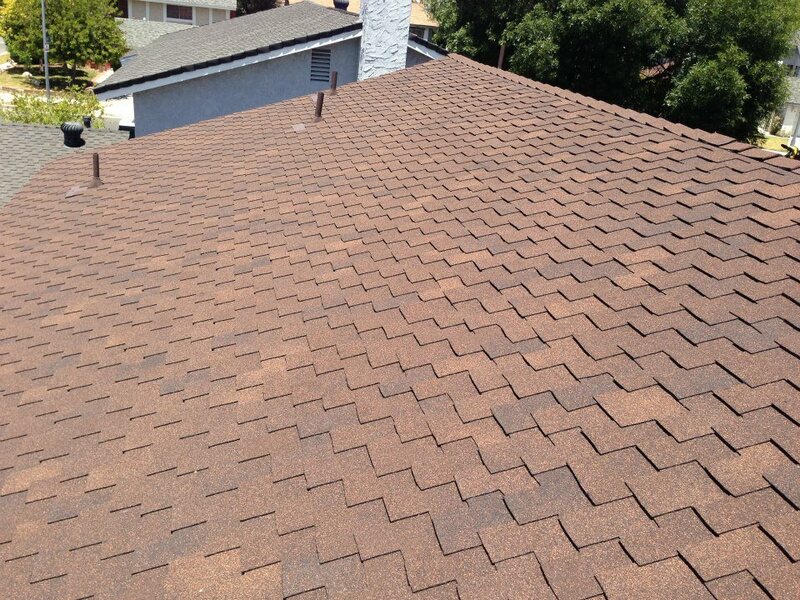 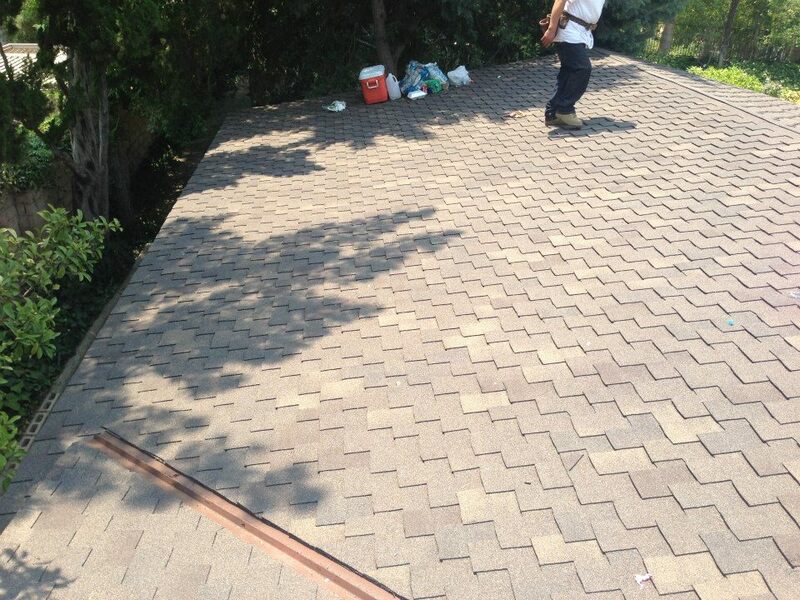 Good shingle roofing products will always be around, and it is something you can put your trust into. 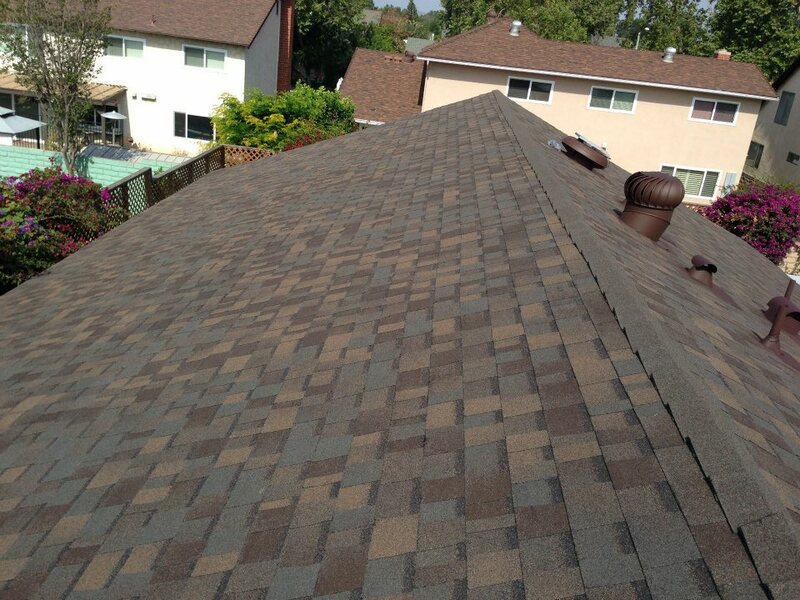 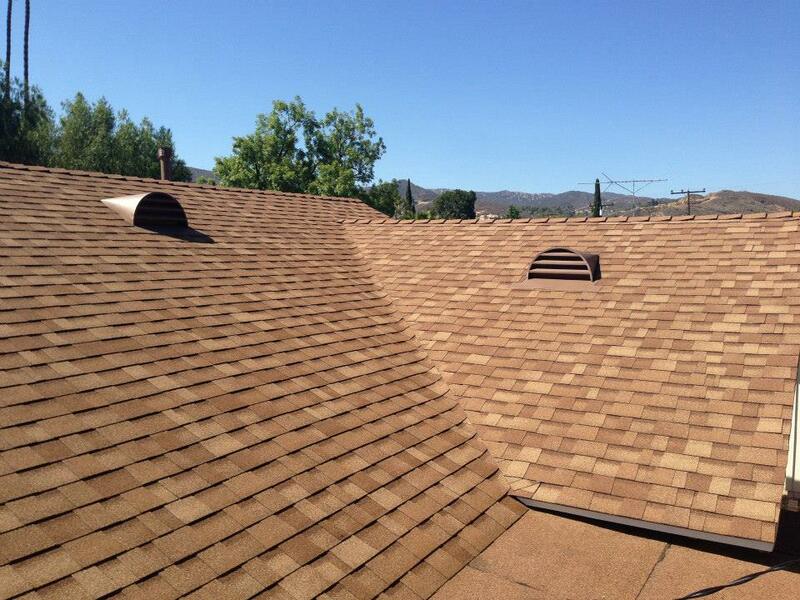 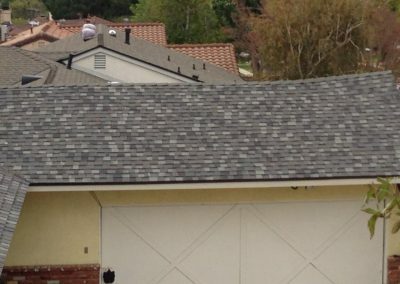 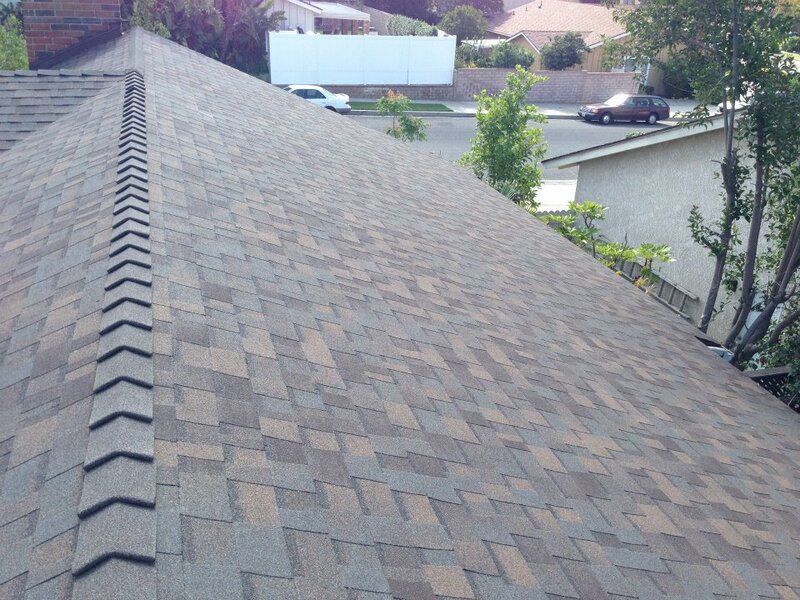 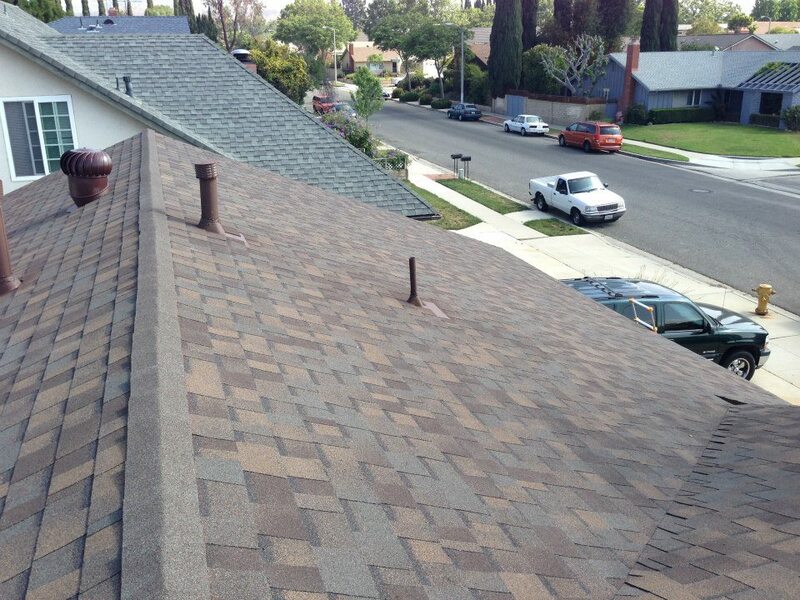 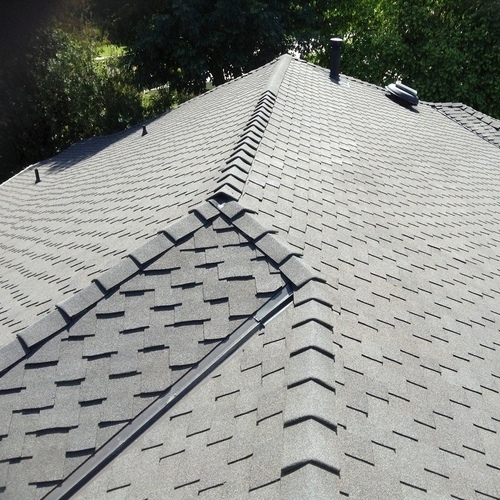 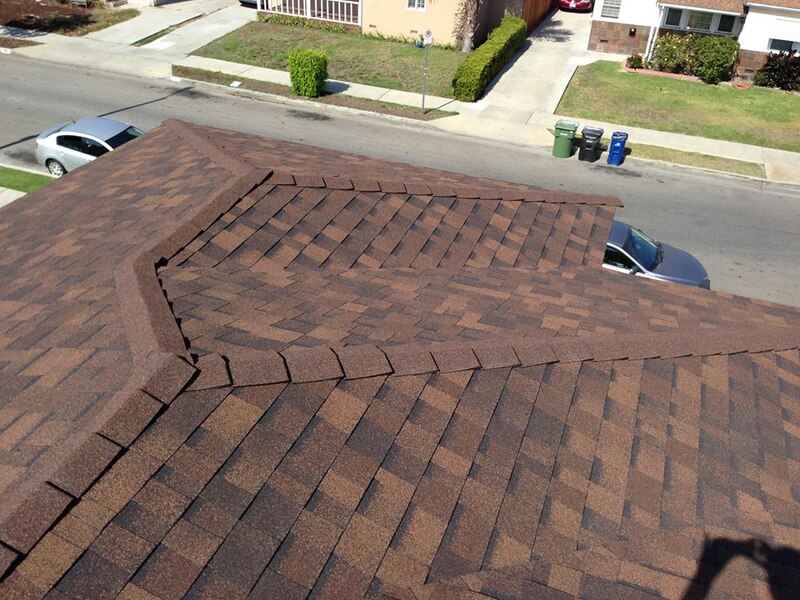 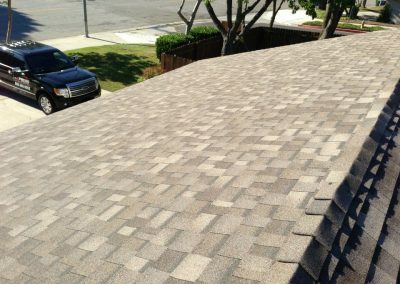 Shingle roofing actually consists of two separate products. 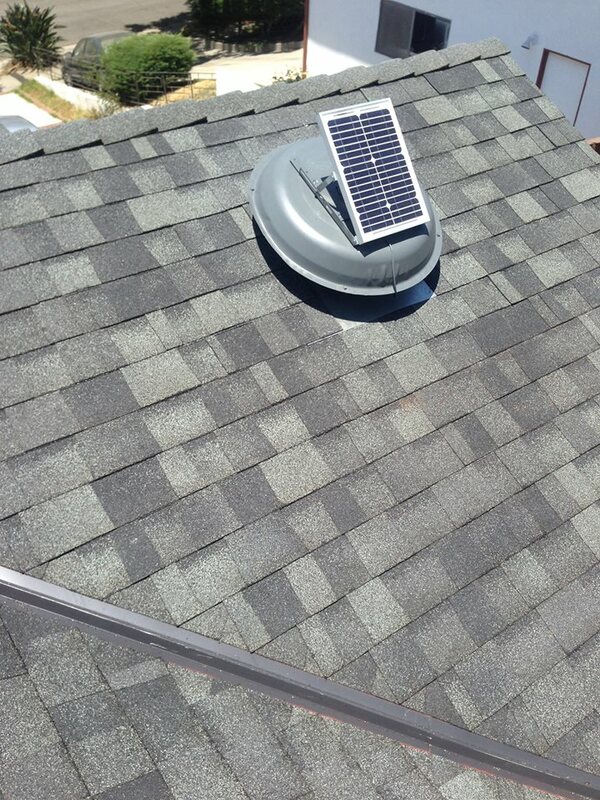 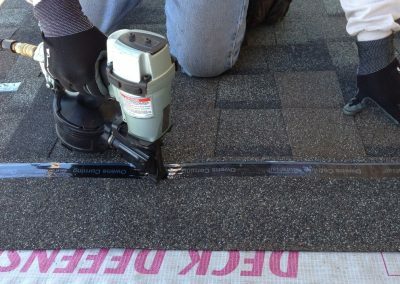 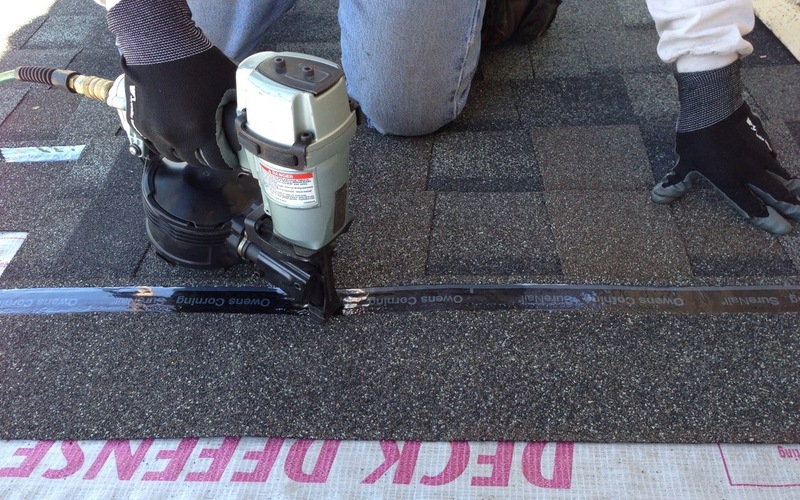 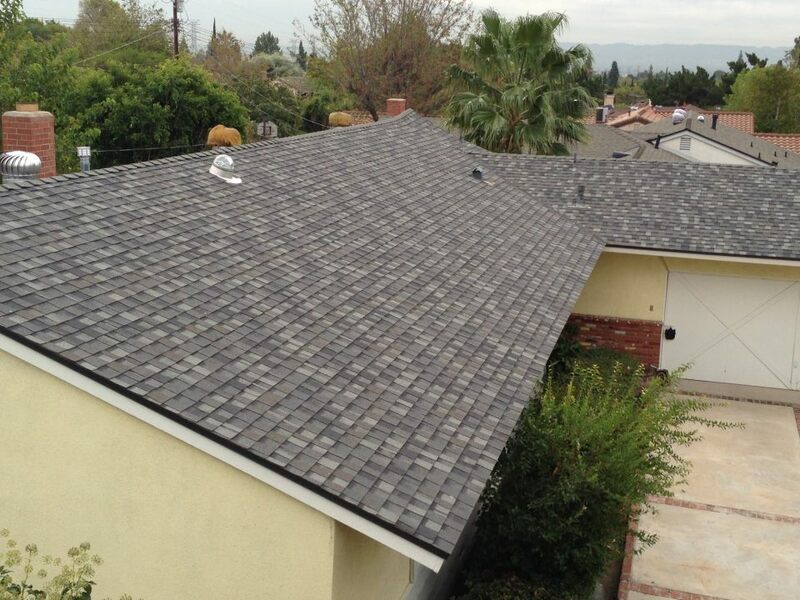 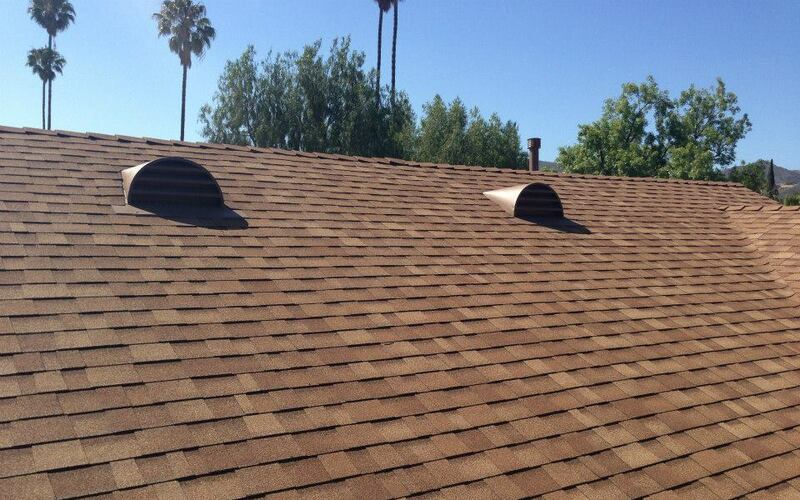 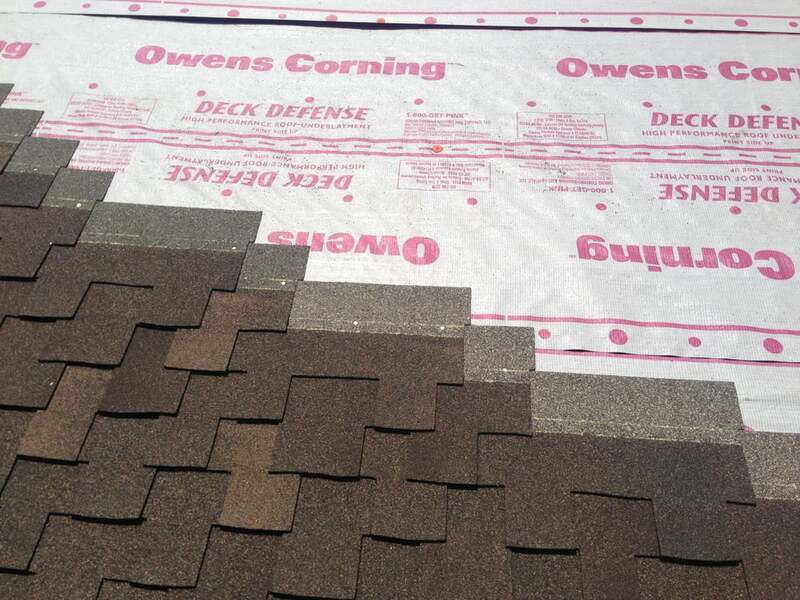 The first product is the roofing shingle itself. 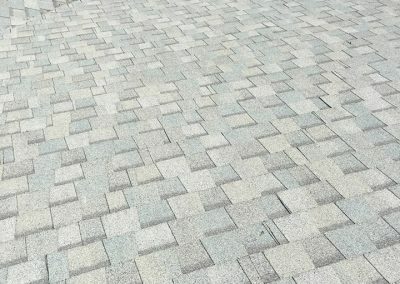 This is sold in groupings known as bundles. 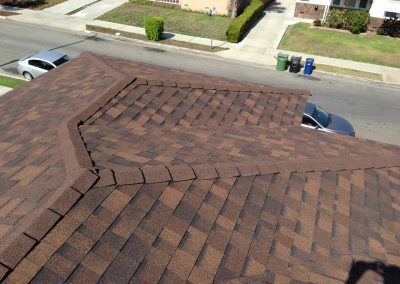 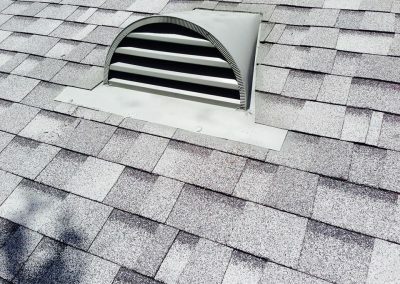 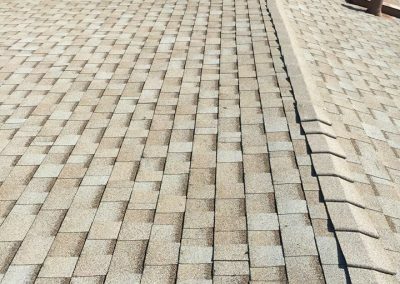 Depending on the type of shingle selected, there are usually either three or four bundles to a square of roofing, which is a shorthand description of an even 100 square feet of roofing—or enough to cover a 10x10 foot area. 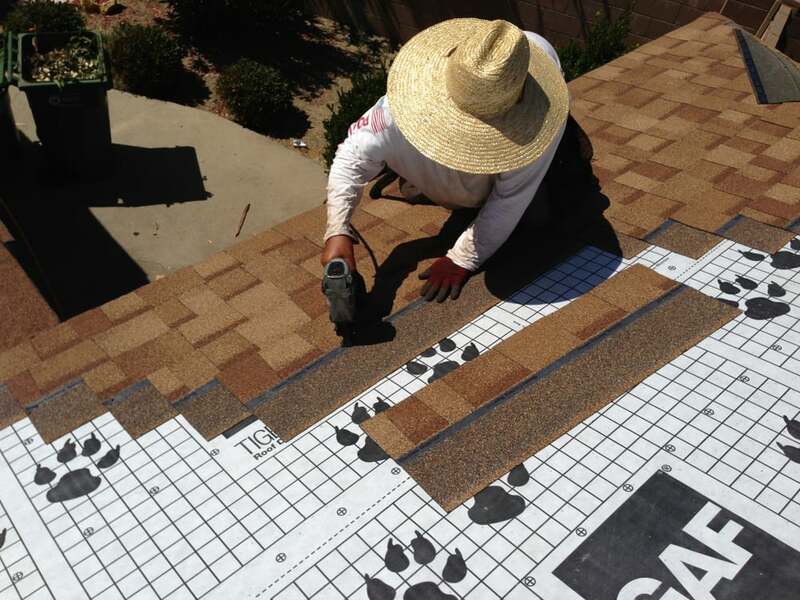 Roofing estimators, insurance agents and contractors generally refer to the size of a roof by referring to the number of squares necessary to cover the roof completely. 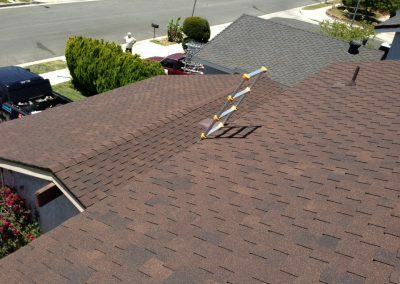 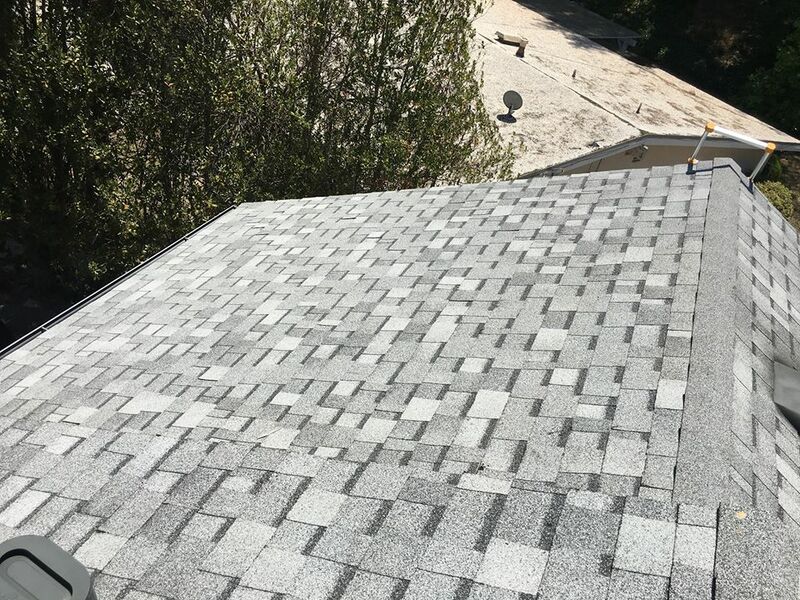 The shingle is a tough, petroleum-based product covered in fine stone granules designed to resist the perils of stormy weather events such as hail. 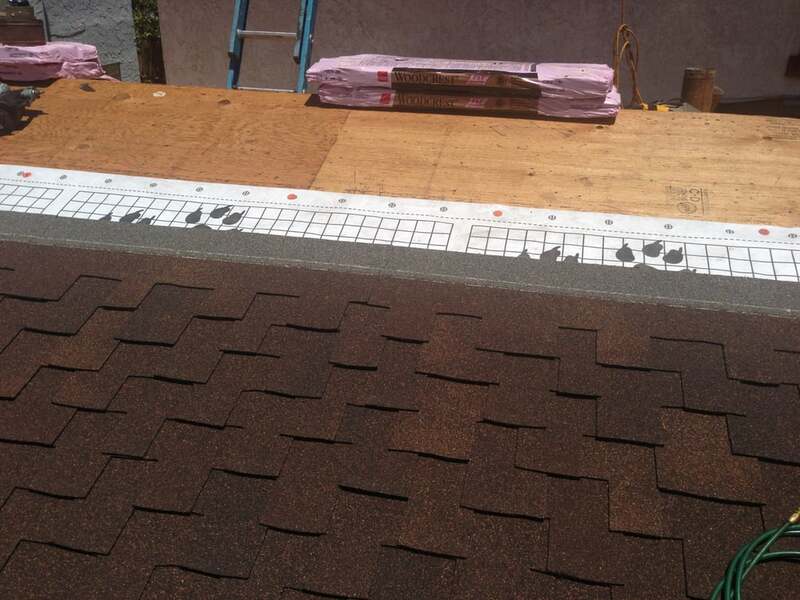 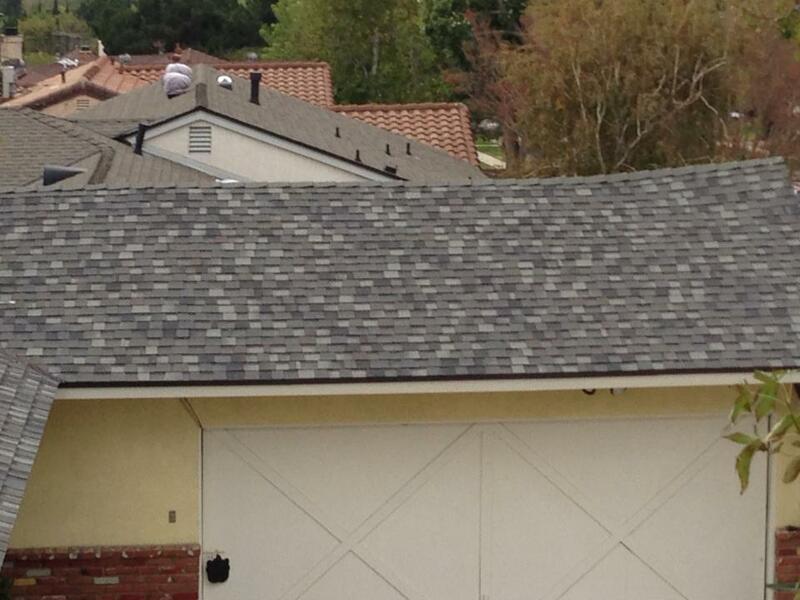 Underneath the shingle is the second element of the roof, which is the underlayment. 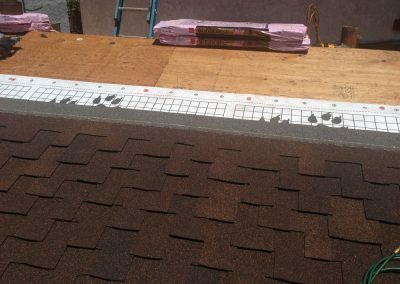 This is a flat roll of material that is applied to the roof before being covered by the protective barrier of the shingles. 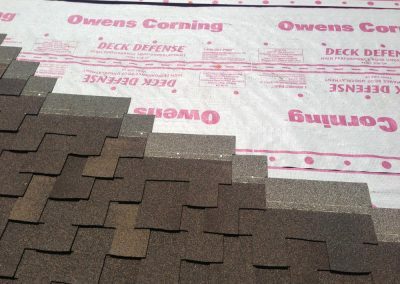 Traditionally, this material is a heavy roll of felt soaked in a tar like compound to make it highly resistant to water or a synthetic underlayment which is a lot durable for tear and wear. 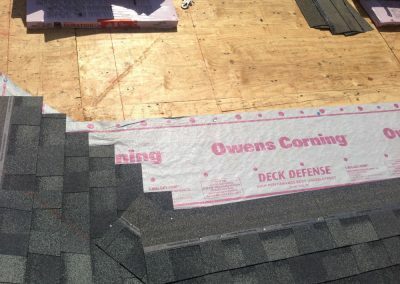 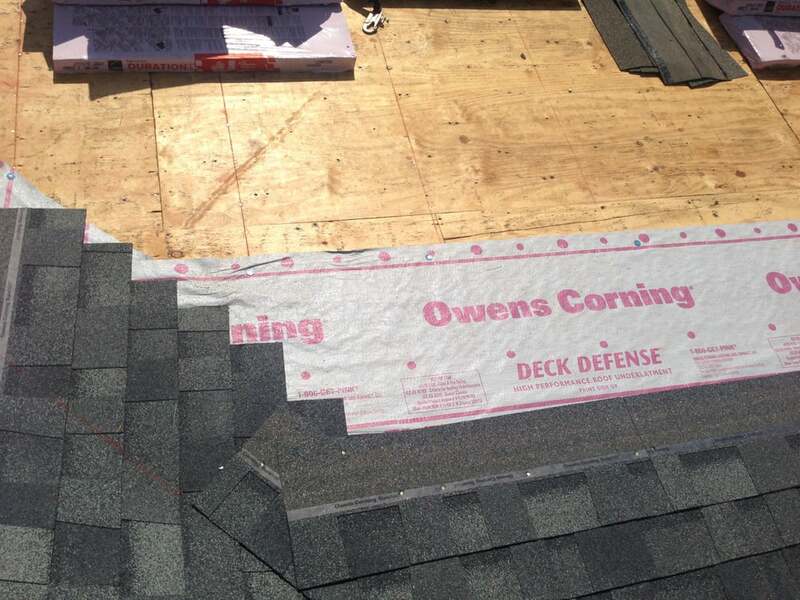 In many ways, the underlayment offers the actual protection against rain and snow while the covering shingles are designed to protect the underlayment from damage via sunlight, wind, or other extreme conditions. 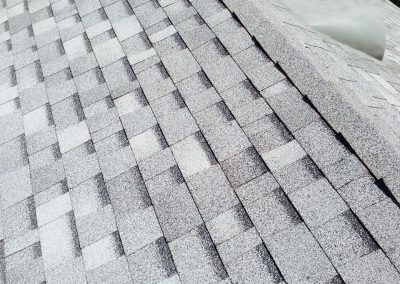 Together, however, they form an attractive and lasting barrier against the ravages of the elements. 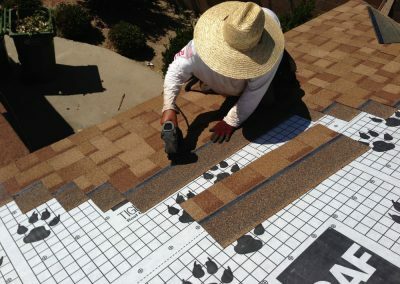 Shingles come in many different color shades and patterns. 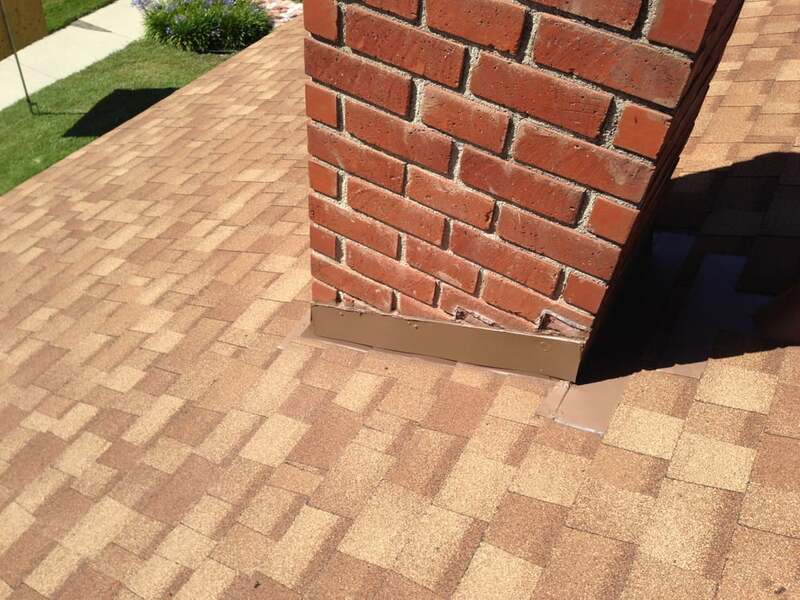 They are offered in varying thicknesses. 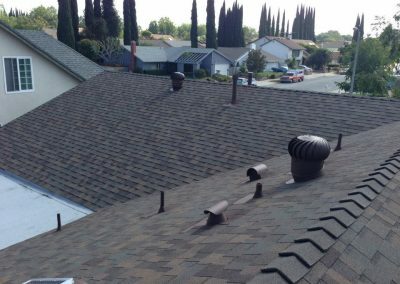 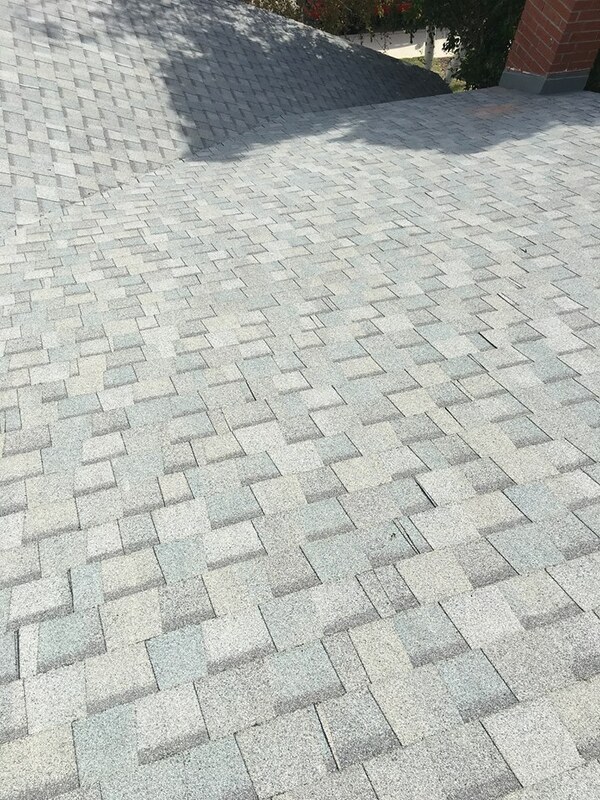 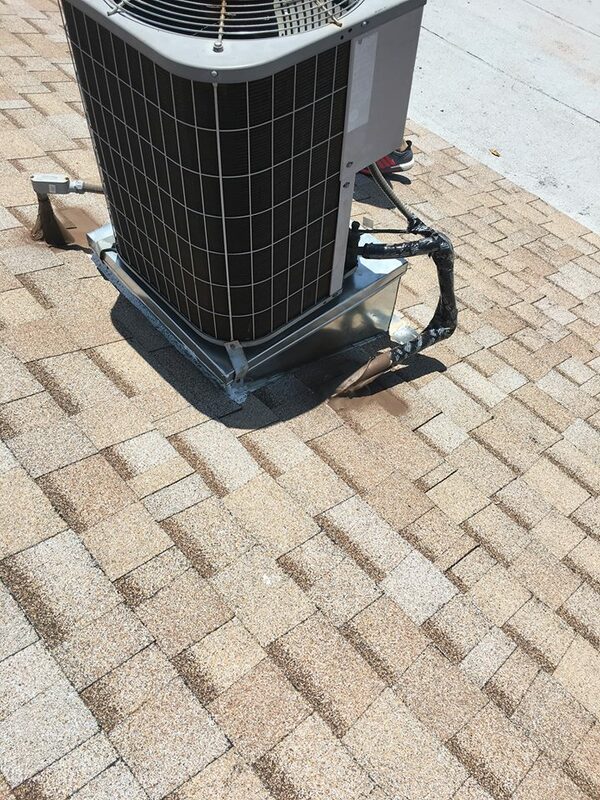 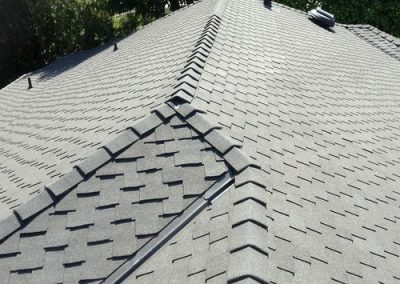 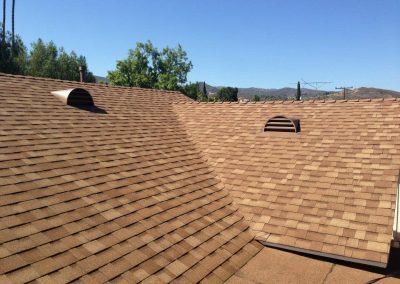 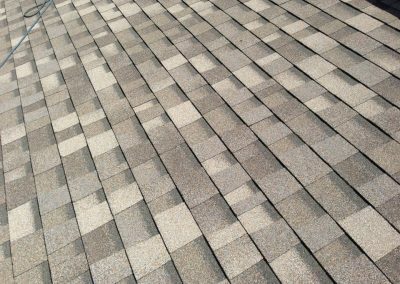 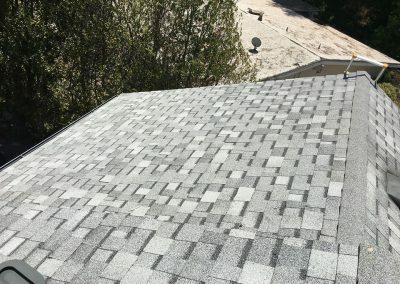 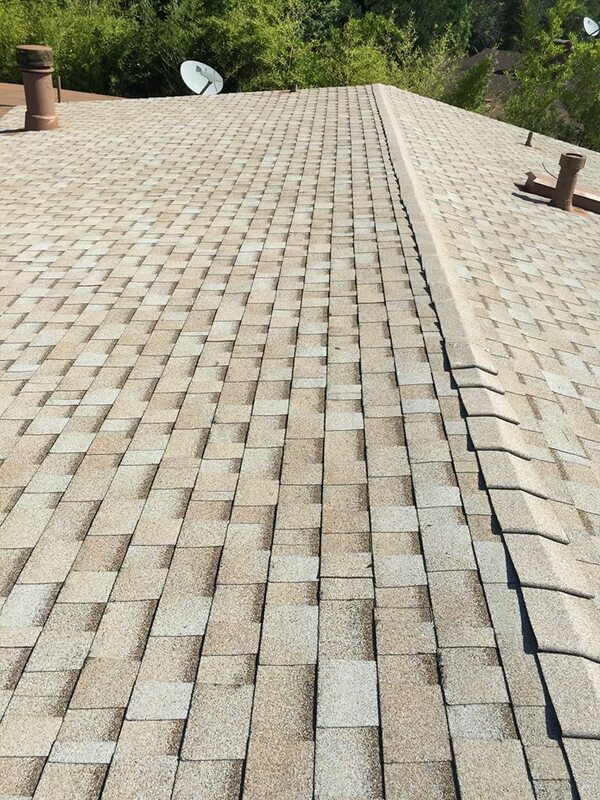 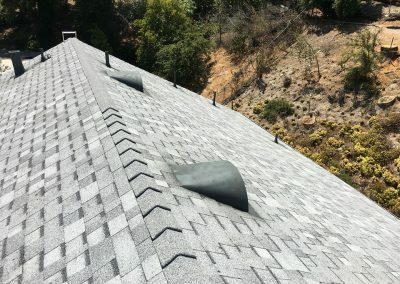 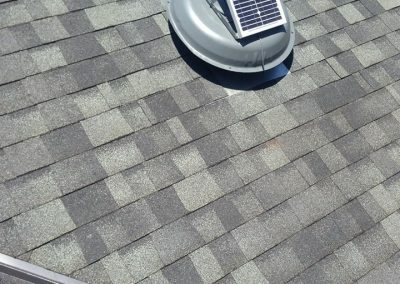 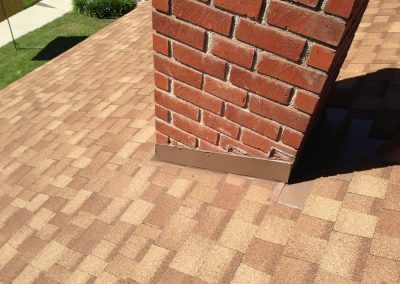 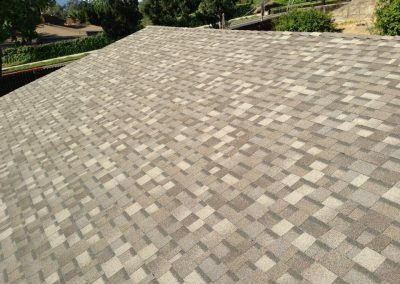 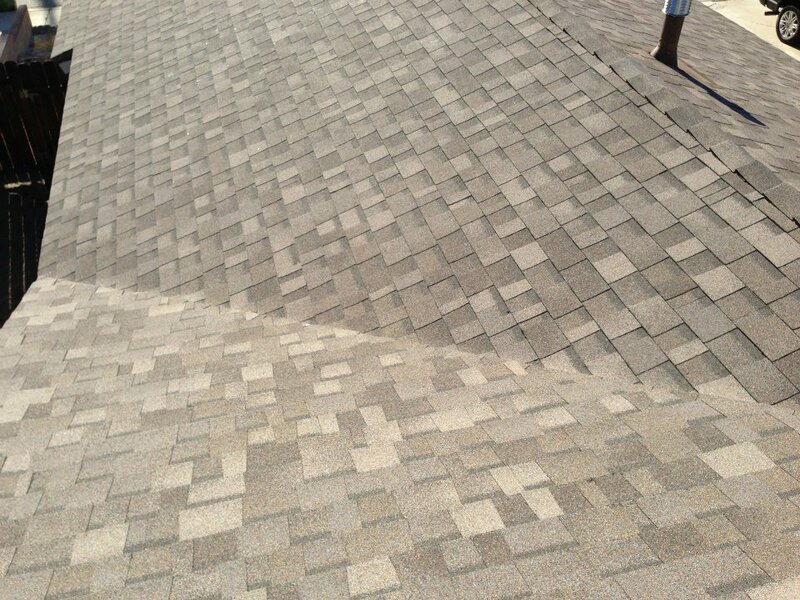 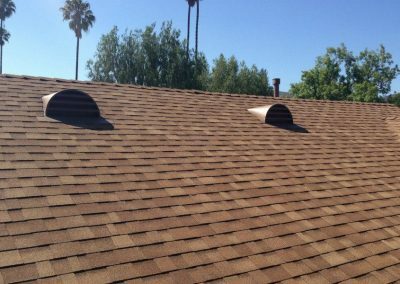 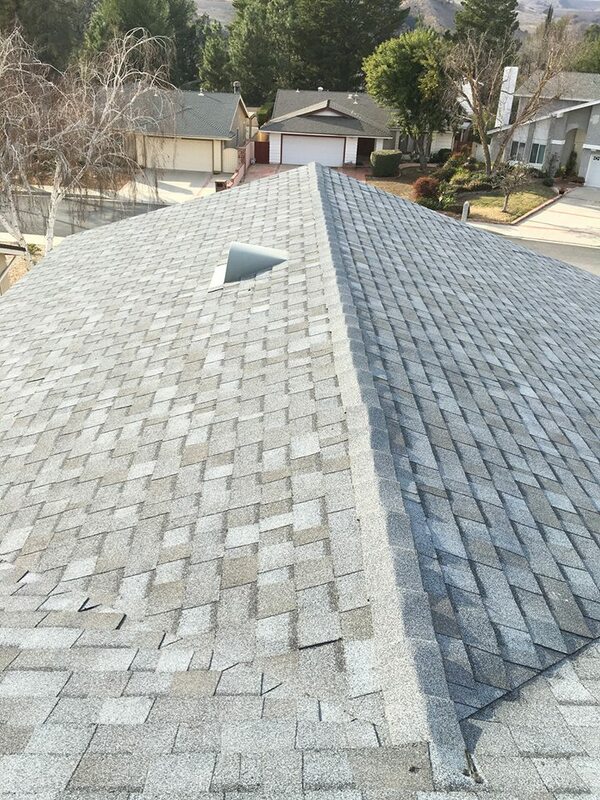 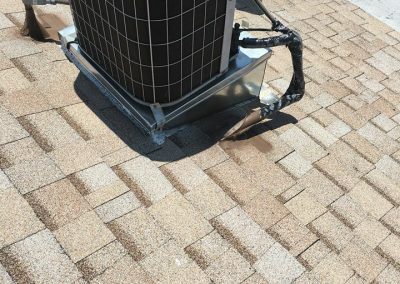 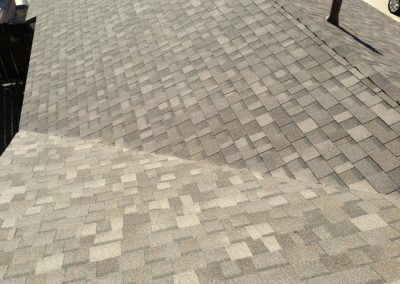 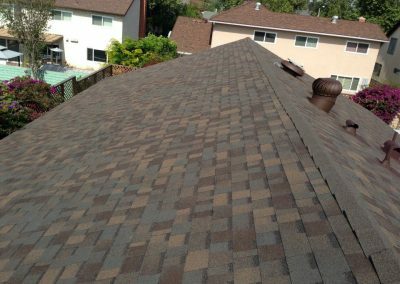 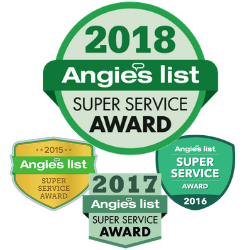 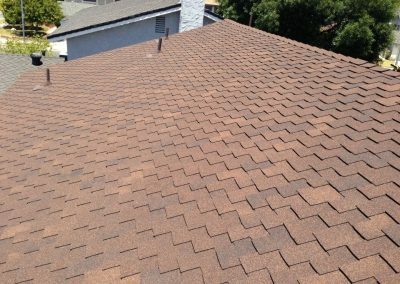 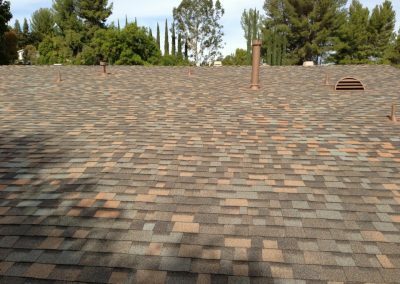 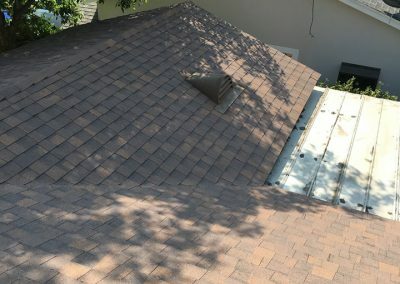 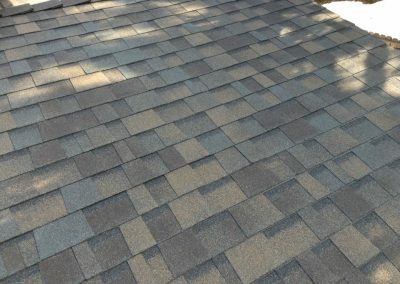 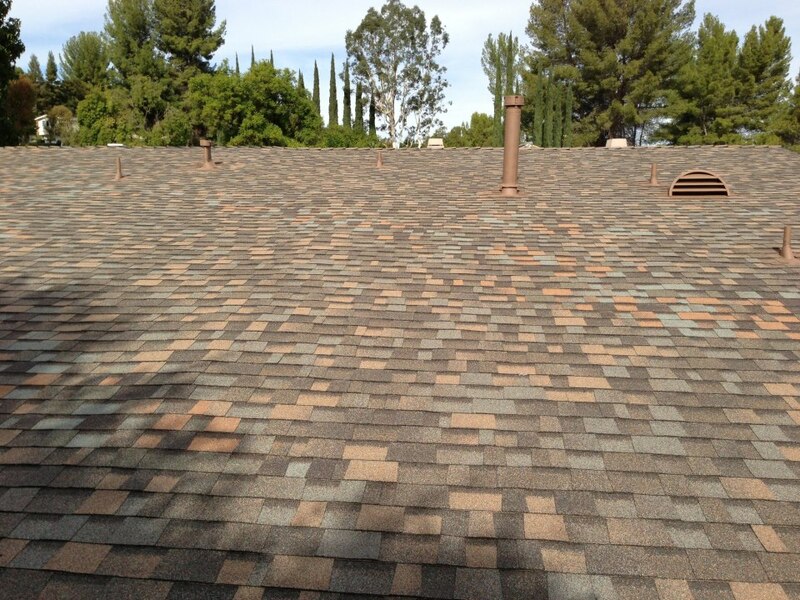 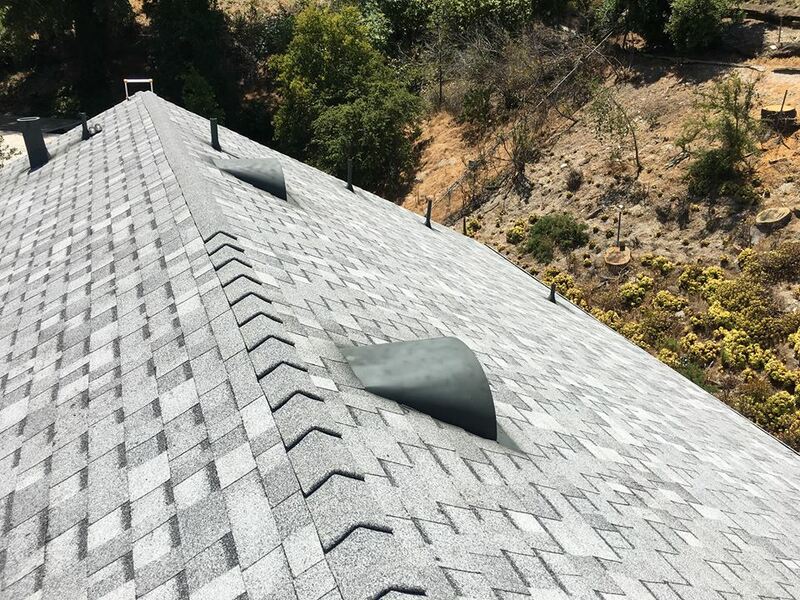 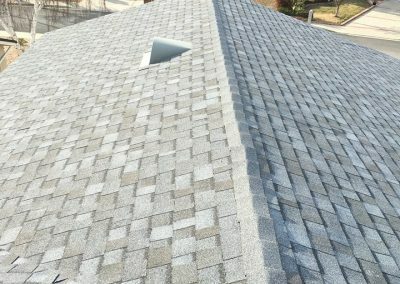 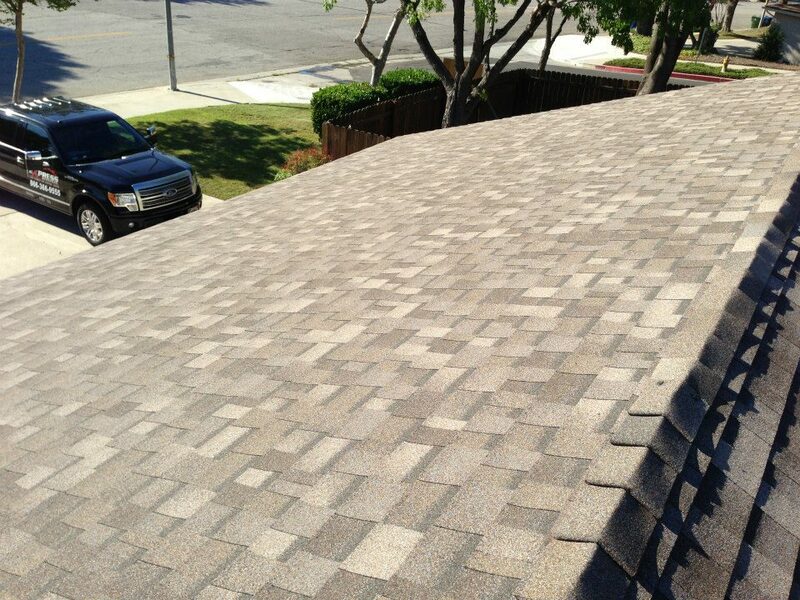 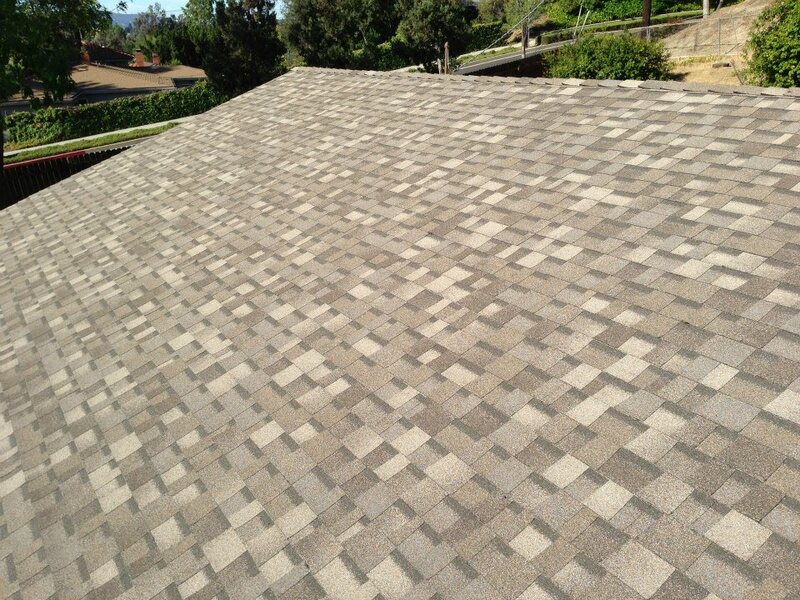 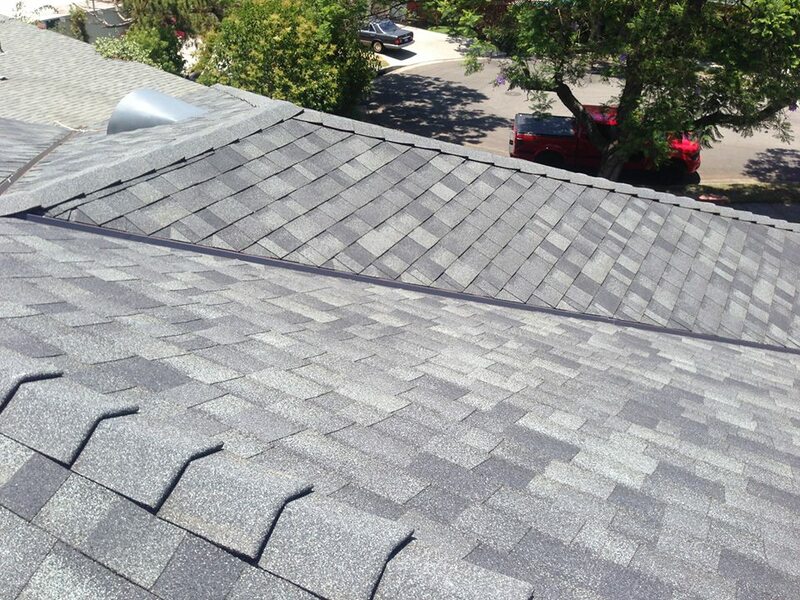 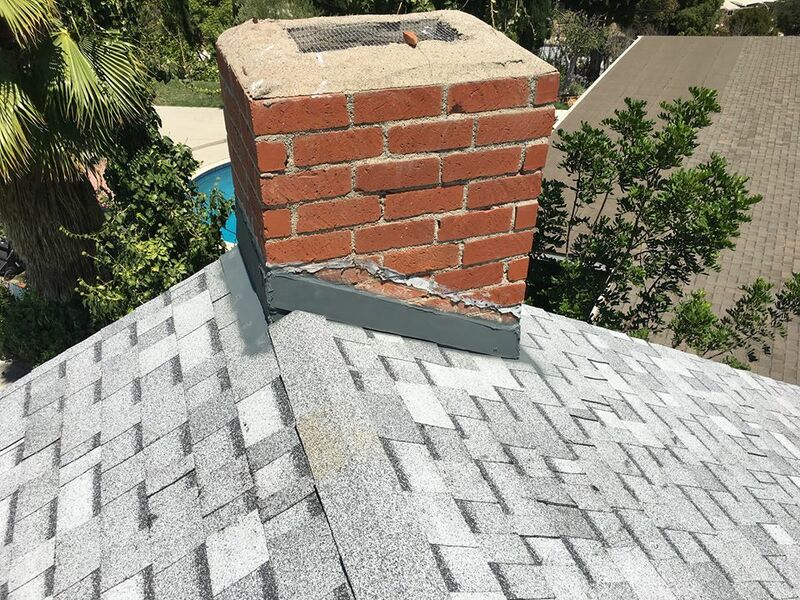 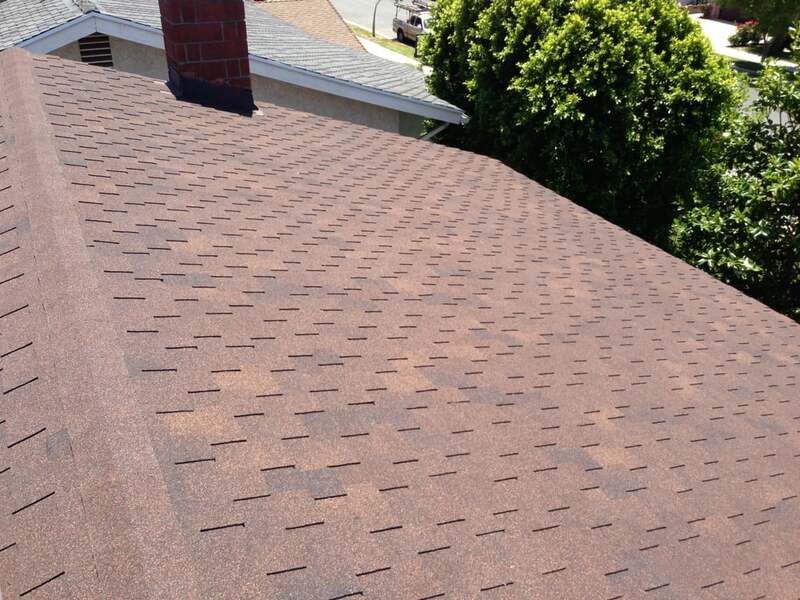 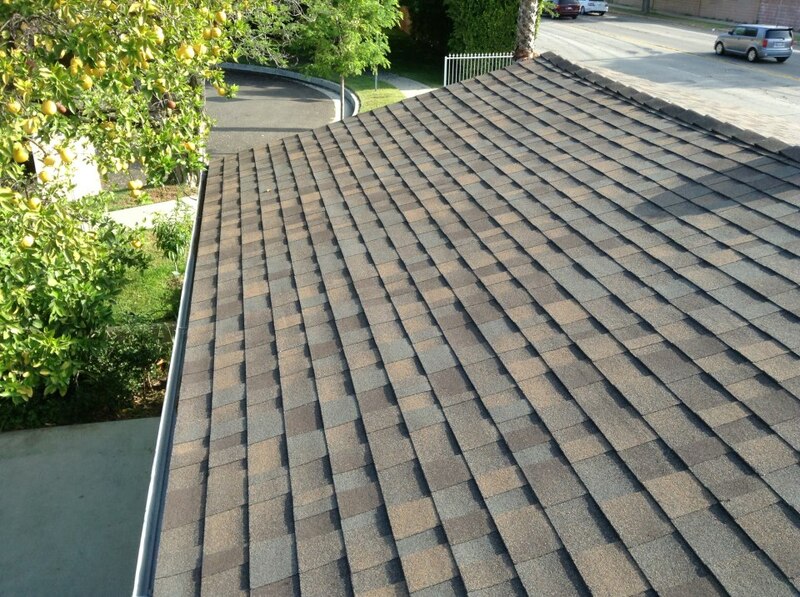 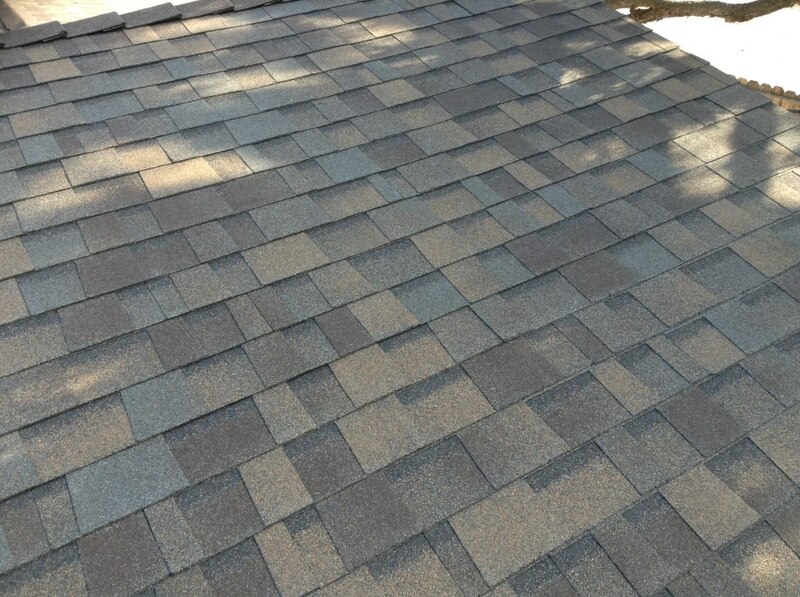 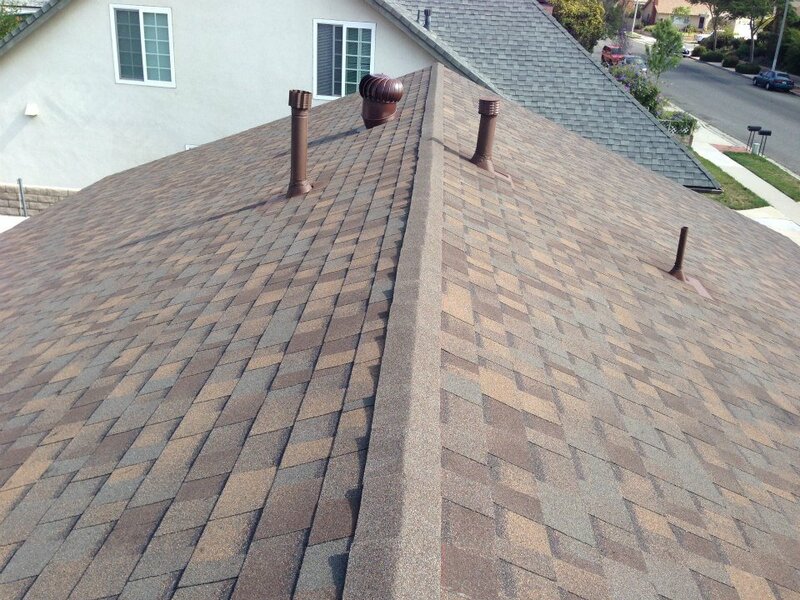 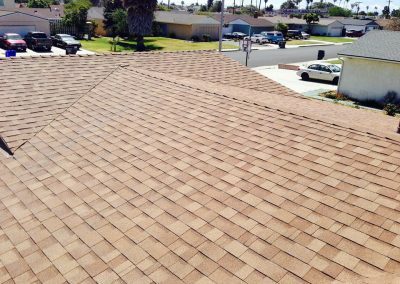 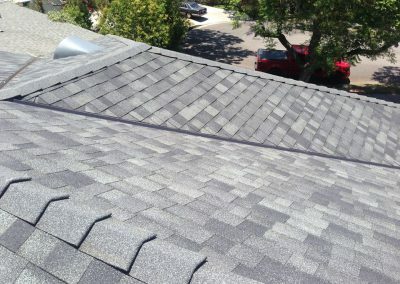 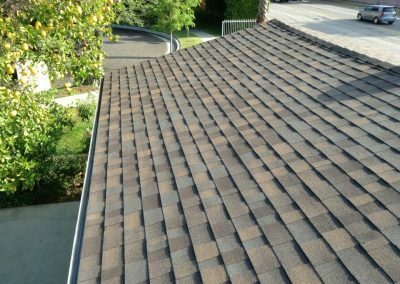 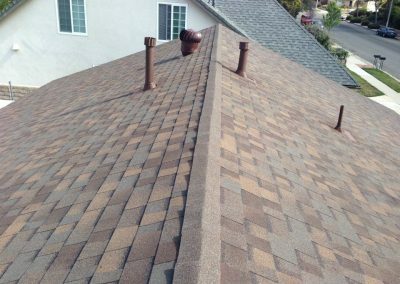 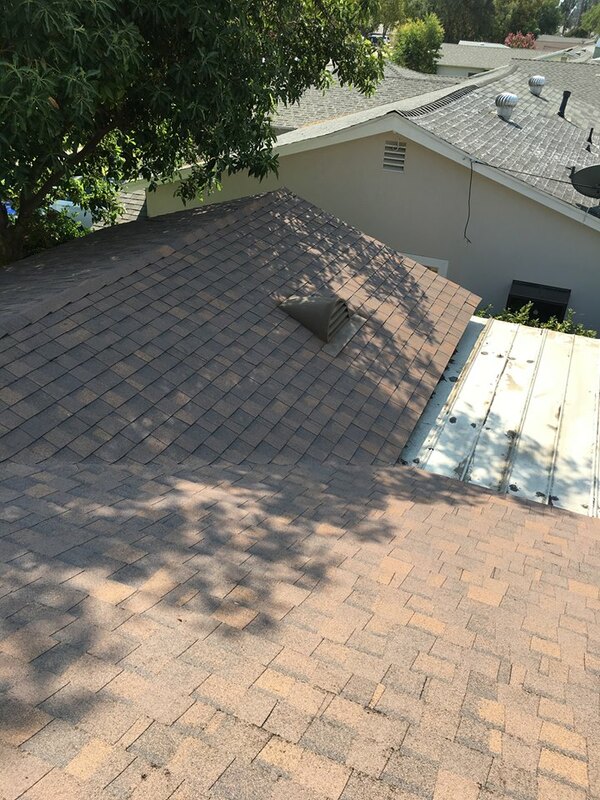 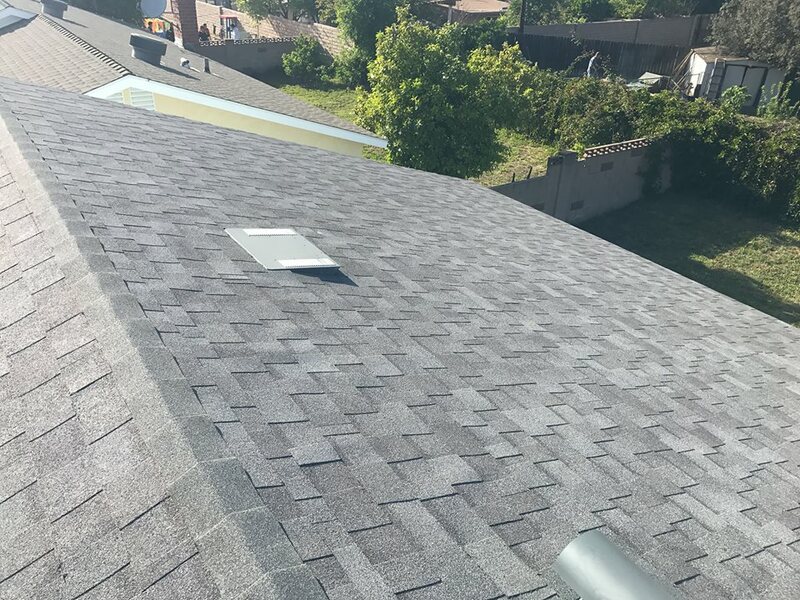 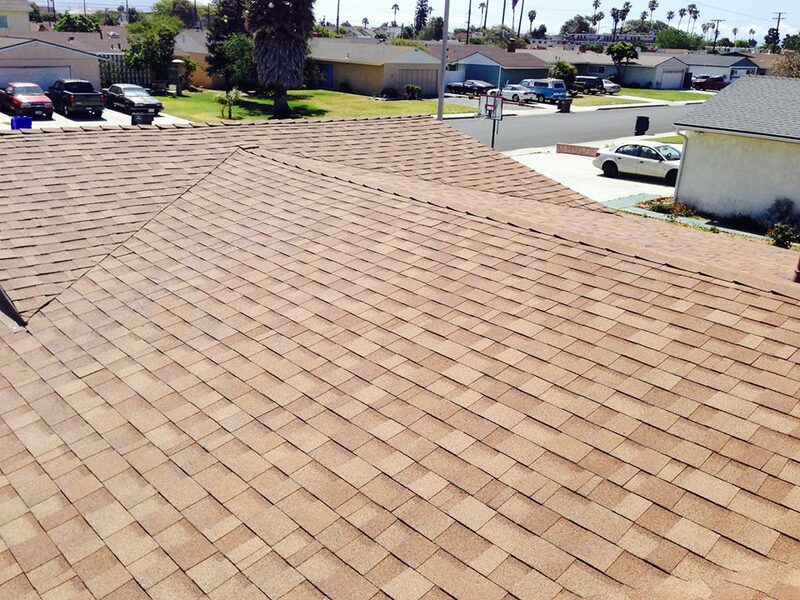 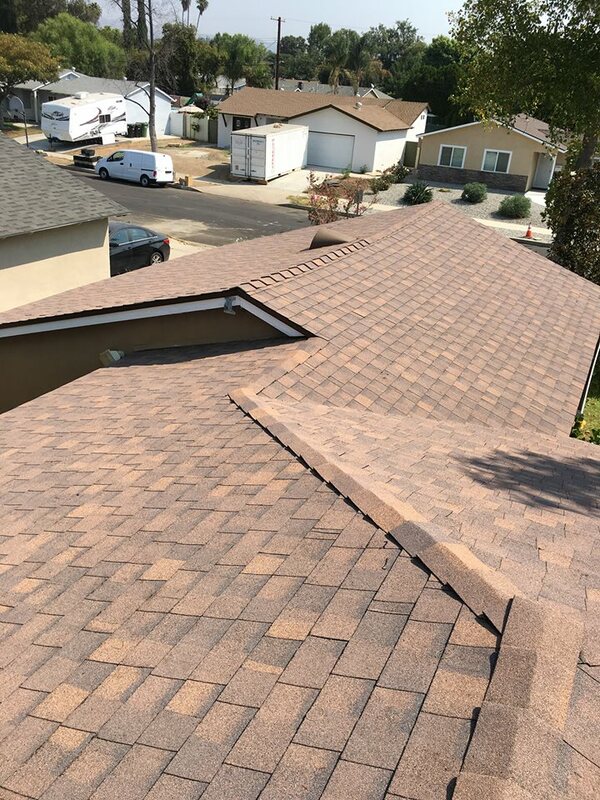 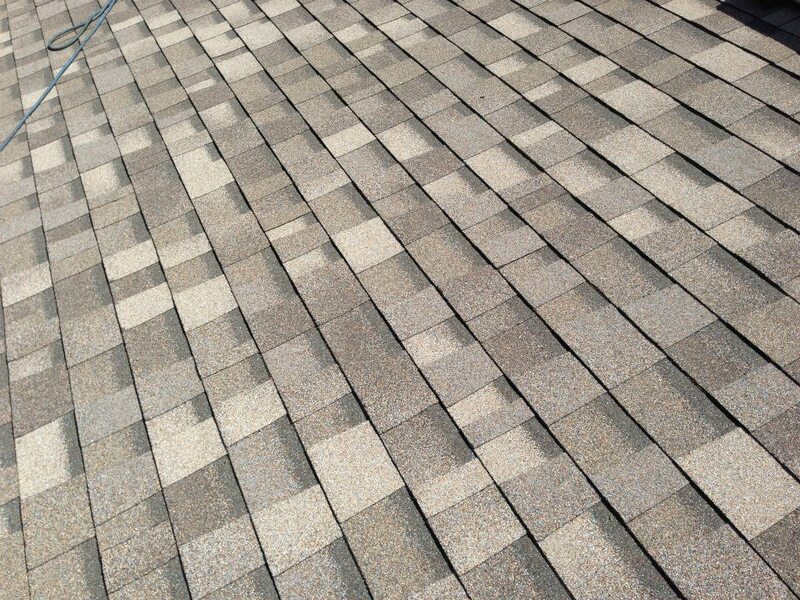 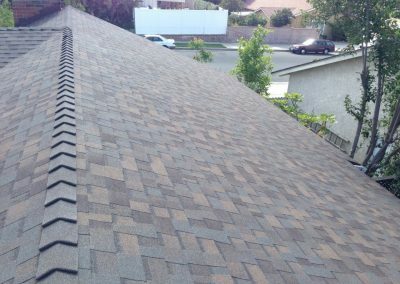 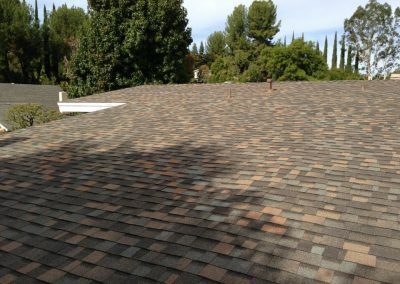 This difference in thickness is generally equivalent to a shingle’s rated service life, which is to say that a thinner shingle may be rated as a 25-year product, while a thicker one may be rated as a 30, 40 or even 50 year shingle.